Clean, modern diner setting with comfy chairs. When is the last time you sat down in a restaurant and just relaxed? At Paul’s Diner, that seems just about every day, although at price. I was instantly surprised by the amazingly soft and poofy seats, which I spotted as soon as I walked in the door. They looked stylish and sleek, topped off with the best cushions I have ever sat on. In fact, the whole place was eye candy. It was an old diner turned modern: cool marble and silver everywhere. I enjoyed just sitting there. The diner has a sign that boasts how “ultimate” of a coffee spot it is. I somewhat agree. Sitting there with a cup of coffee in the coolest diner in town, I would be happy. But I didn’t get coffee. I ordered the steak, medium rare, which came very overcooked. And so did the pasta and the garlic bread. The standard of the diner’s setting surpassed that of the food considerably. It wasn’t bad food, just not great. The menu hinted why. The menu showed that they also served kebab, koobideh, and some Mexican food. I decided, after seeing the the cooks and the menu, that the cooks were not of fully accustomed to cooking American food. At first, the cultural diversity seemed fairly interesting. A diner that had pictures of Humphrey Bogart and Marilyn Monroe also served Mexican and middle-eastern food. Yeah, cool. But the American food was not up to diner par. Maybe the more foreign dishes are better. I enjoyed my meal mediocre meal, nevertheless. Mostly because I just liked being there. The service was great, and I got the bill right away, the same with refills. Everything was quick and easy. It was a bit more expensive than most diners, however. Two people could eat for under $30-35 if they ordered dishes. 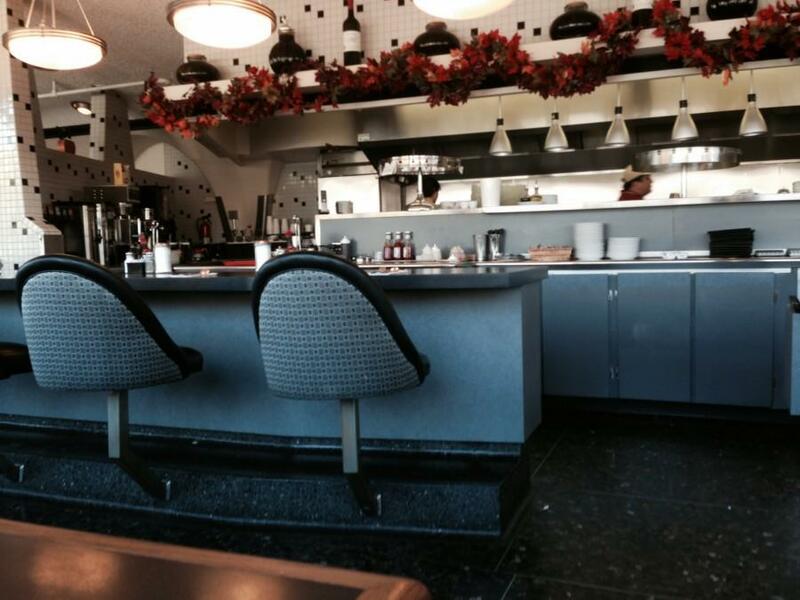 I liked Paul’s Diner, yet I might steer away from it next time. There are cheaper and better options out there. If you just want a cup of coffee, it seems great. Paul’s Diner is located at 4000 El Camino, San Mateo. It is open seven a.m. to nine p.m. every day of the week.